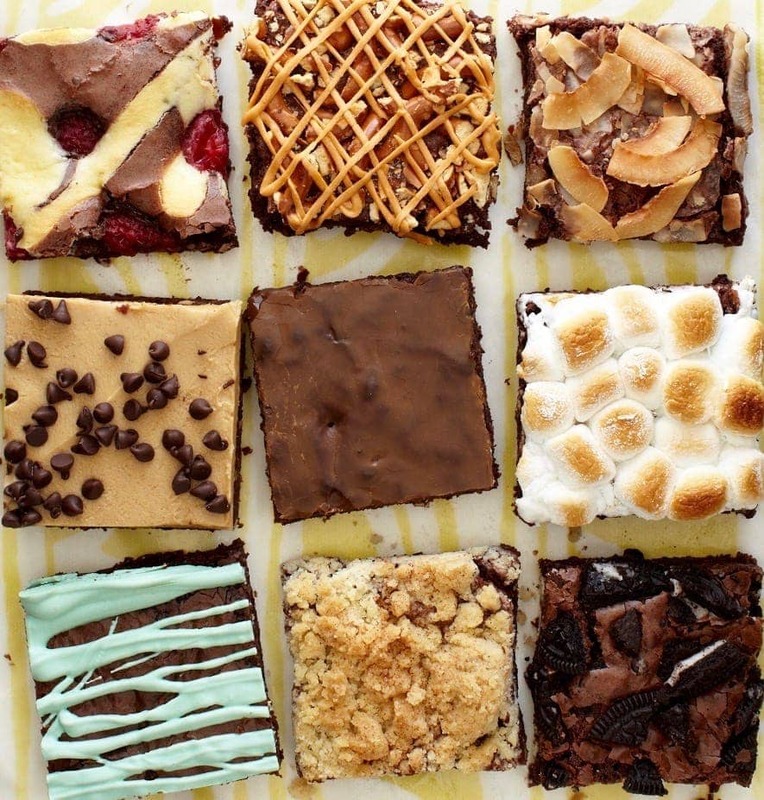 I’ve got 15 Fourth of July Food Favorites right here in one place! 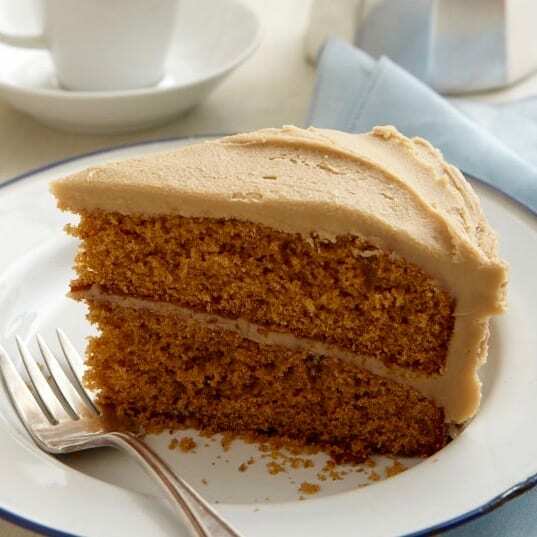 Browse the deliciousness, choose a recipe and make your celebration the best! 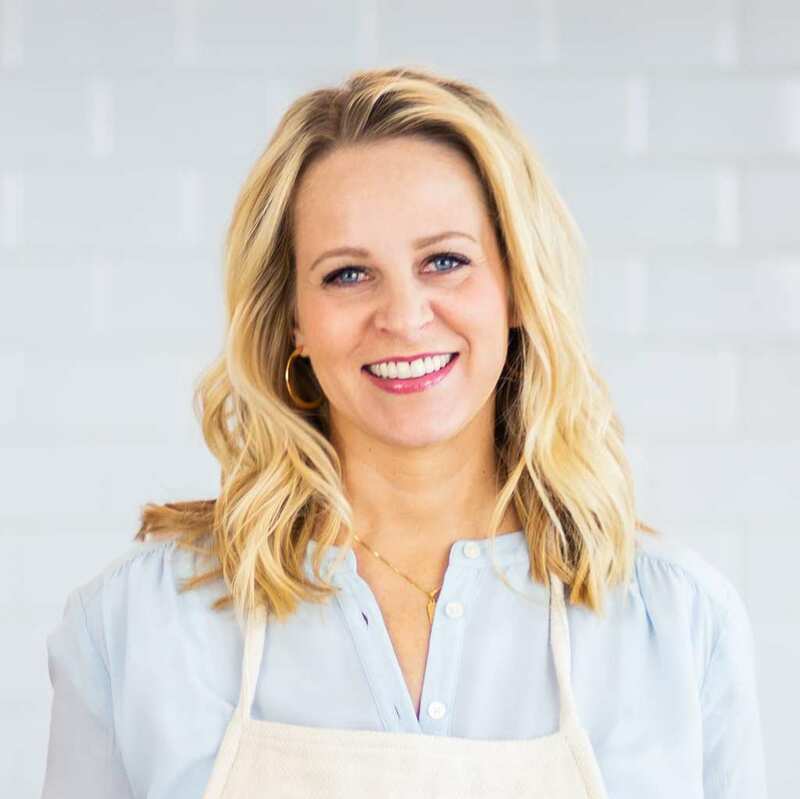 To get a little star-spangled inspiration, I put together a list of some fun 4th of July food possibilities. From Firecracker Dogs to flag platters, these ideas get you in the mood for the big summer cook out. Or should I say EAT OUT!! Go ahead, scroll down and get inspired! 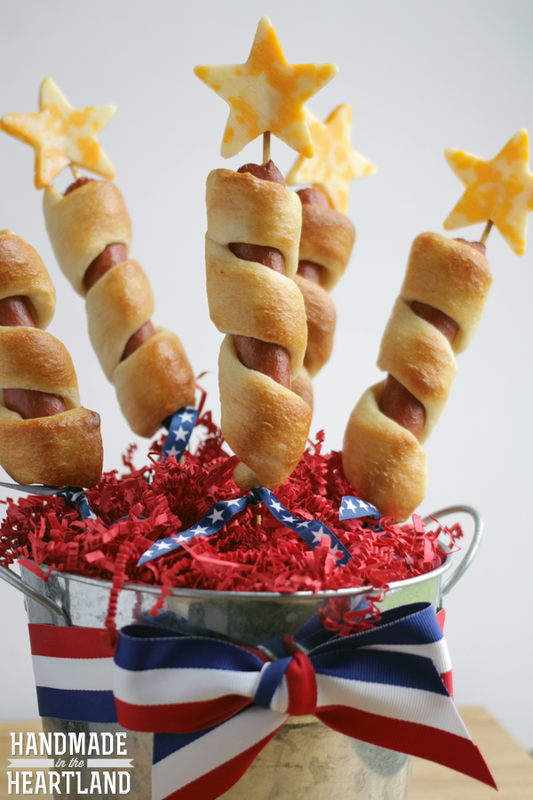 Though they aren’t full of red, white and blue, these Firecracker Dogs are a great addition to your 4th of July menu. They’re a fun and easy spin on traditional hot dogs. Baking them in the oven will save you a lot of room on the grill for juicy burgers! What’s the 4th of July without pasta salad? 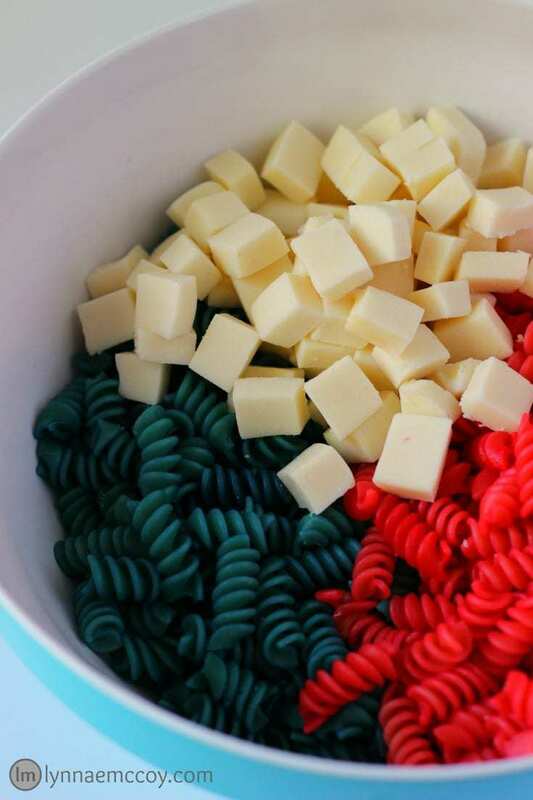 Lynnae McCoy makes it easy to transform pasta salad into a patriotic party favorite. 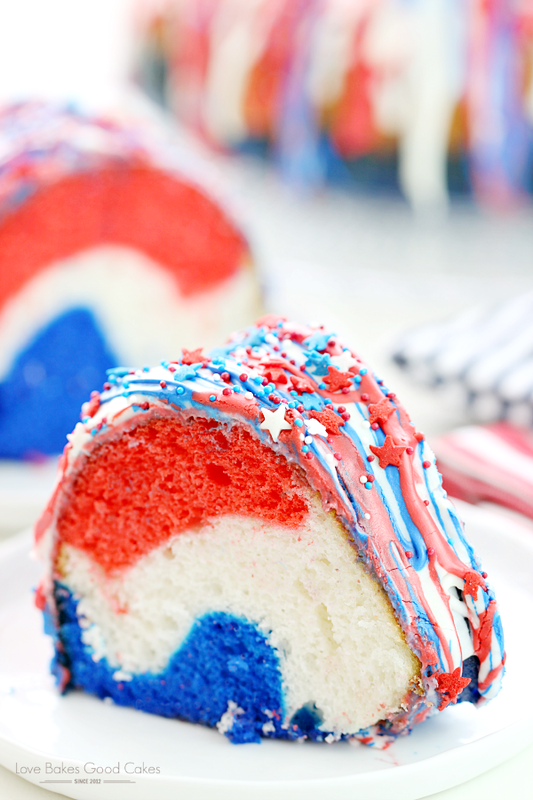 A little food coloring, some mozzarella and you’ve got red, white and blue fun! 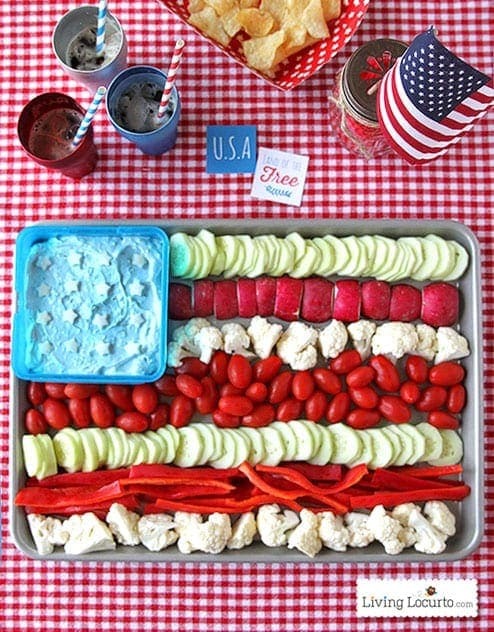 If you’re looking for effortless 4th of July food fun then this veggies tray is perfect for you! Just lay them out in strips and add some dip in the corner. It couldn’t get easier! Here’s a flag pattern that doesn’t take much more effort and boy, is it worth it! 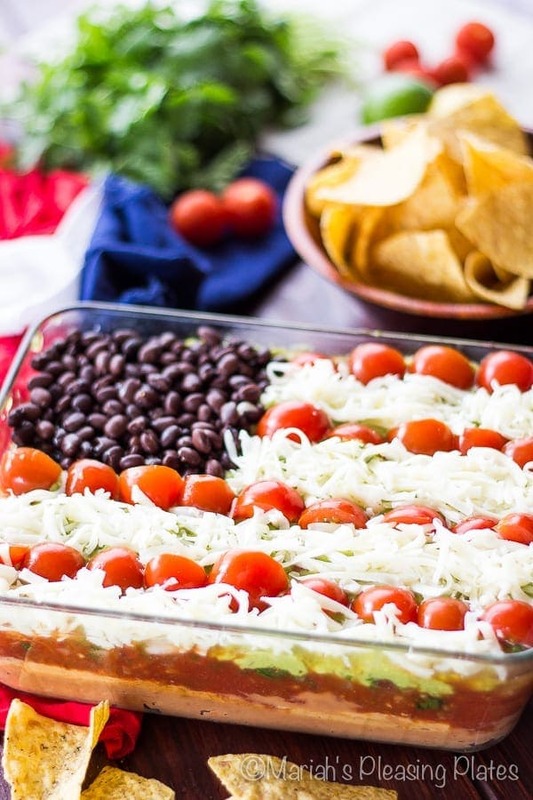 Yummy 7-layer dip arranged just for the 4th of July is sure to be a hit with your family and friends! 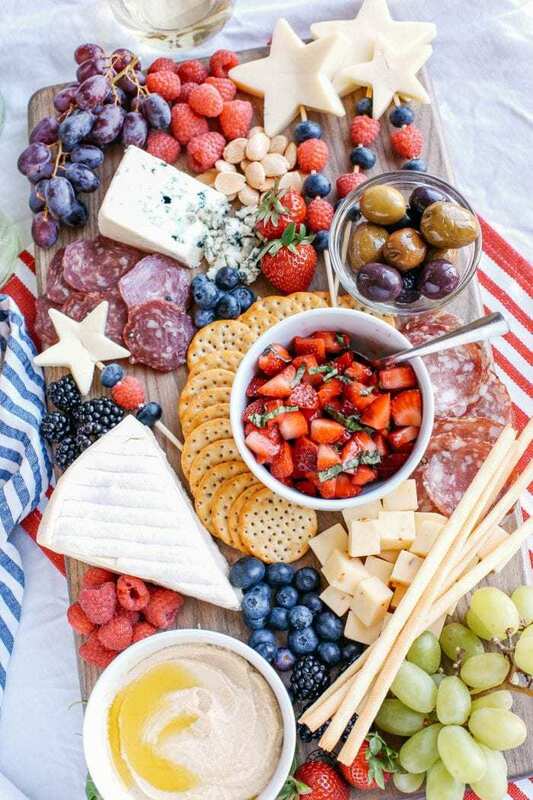 This cheeseboard is easy to pull together and will bring a fancy flare to your 4th of July celebration. 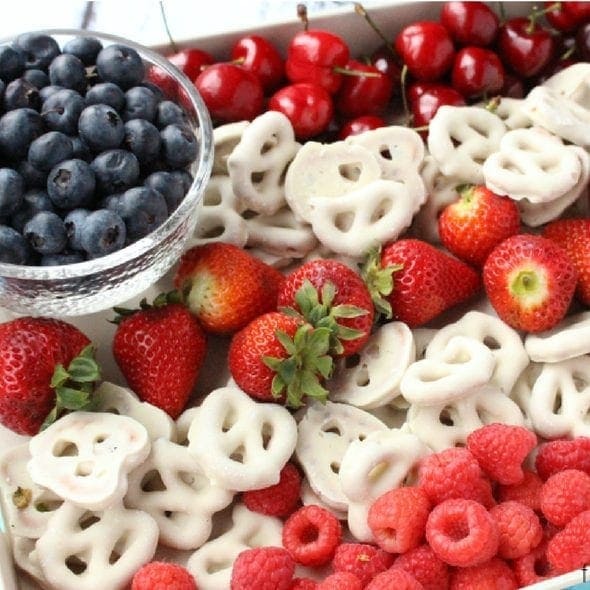 Eat Yourself Skinny has figured out the perfect combination of red, white and blue fruits and cheeses you need! The summer heat is a great reason to find refreshing drinks for your backyard celebration. 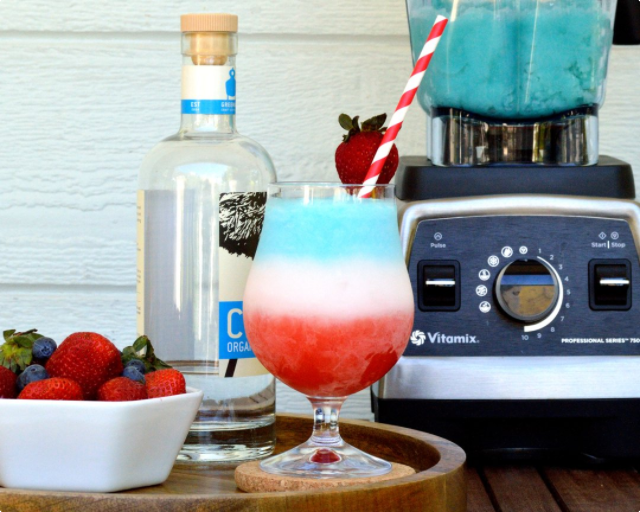 Check out these patriotic layered Strawberry Coladas for 4th of July fun! 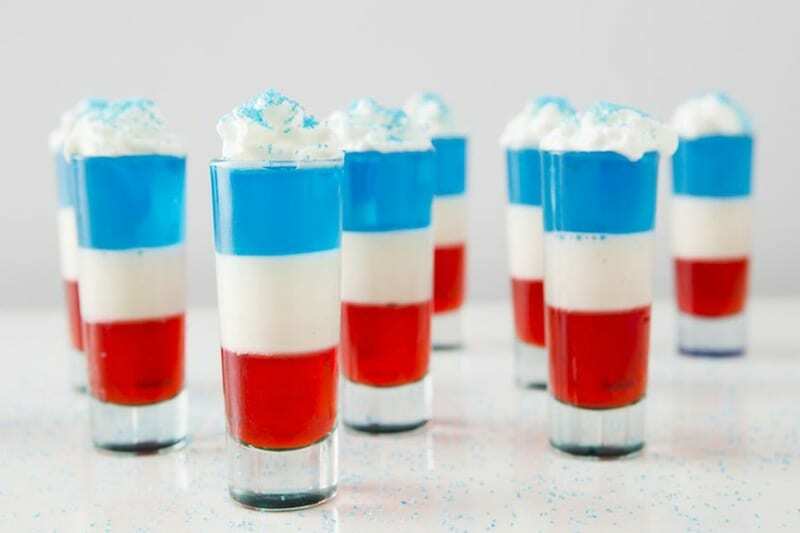 If you’re looking for a real party this 4th of July, then check out these striped jello shots! They’re really easy to put together and those bright colors will look great at your party. Fruity water is so trendy now. I always see water coolers with mint and cucumber or strawberries. 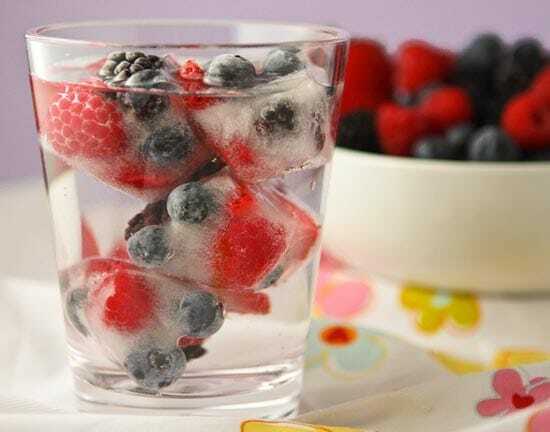 Simplify the process by freezing the fruit in your ice cubes and stay cool while you celebrate the 4th of July! Here’s a sweet version of the fun veggie tray. 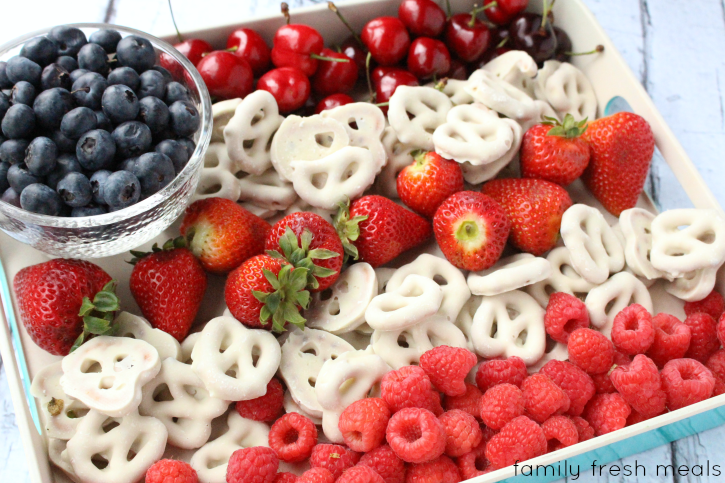 Just arrange all your favorite red fruits and dipped pretzels for a sweet 4th of July decoration and dessert! 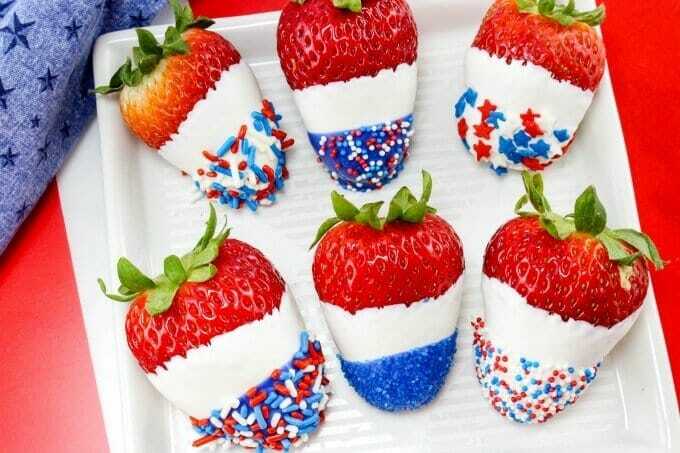 These patriotic strawberries are such an easy dessert to offer your 4th of July guests! 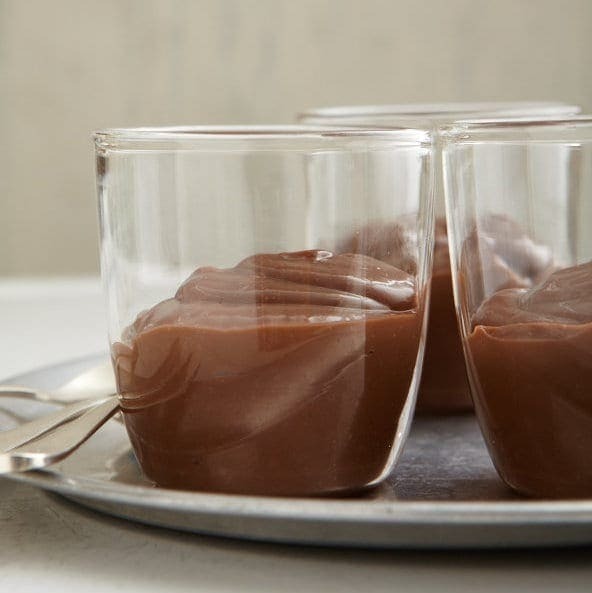 Just dip them in a little melted chocolate and some festive sprinkles. They’ll be crowd-pleasers for sure! 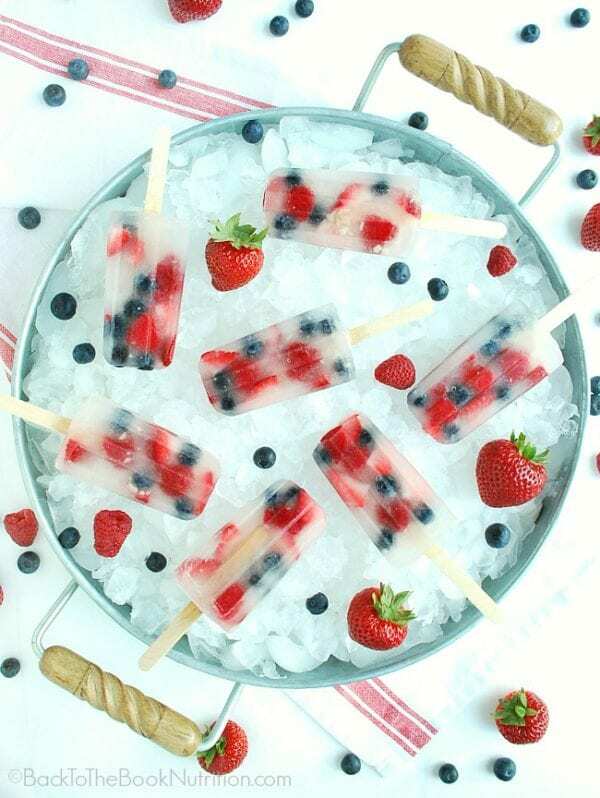 If you’re trying to avoid excess sugar this 4th of July then try these coconut water popsicles! 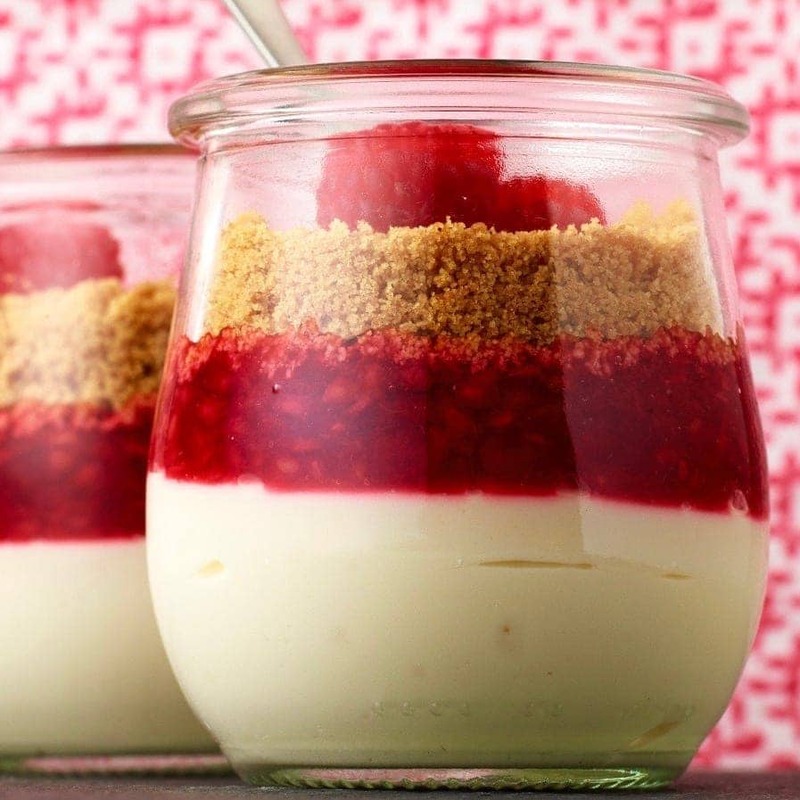 They’re packed with fresh fruit and frozen for a refreshing, guilt-free dessert. I’m all about quick ways to jazz up popcorn. This red, white and blue version is fabulous! 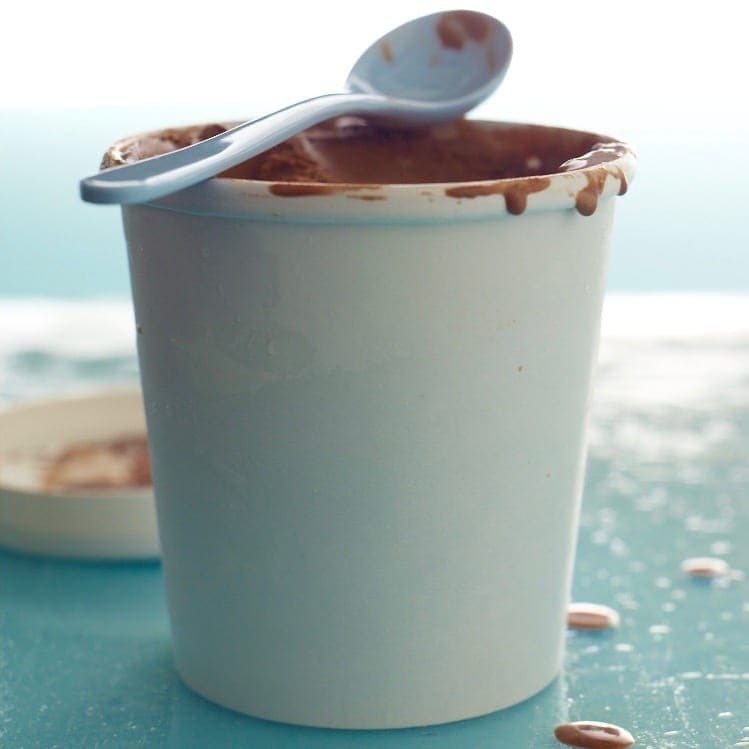 All you have to do is toss in M&Ms, marshmallows and some sprinkles! 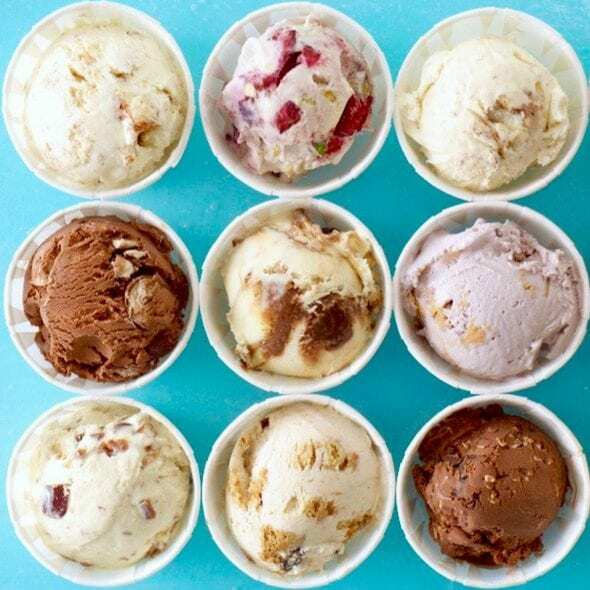 If you’re feeling really adventurous try a few of my popcorn flavors like barbecue, chocolate malt and sweet chili. I adore chocolate-covered pretzels! A little food coloring and some sprinkles will turn one of my favorite treats into the perfect 4th of July food addition. 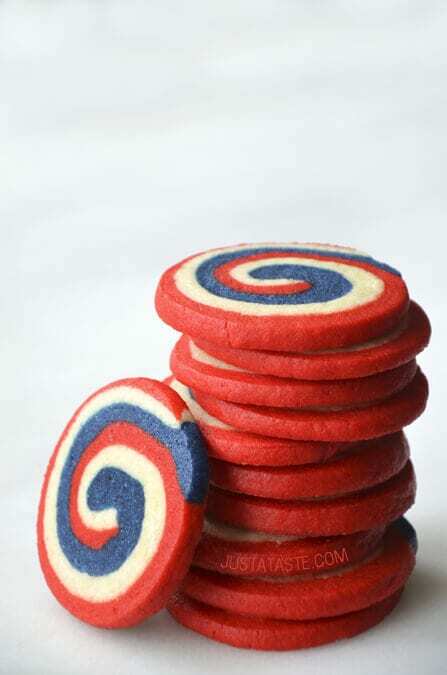 Don’t these cookies look so great?! 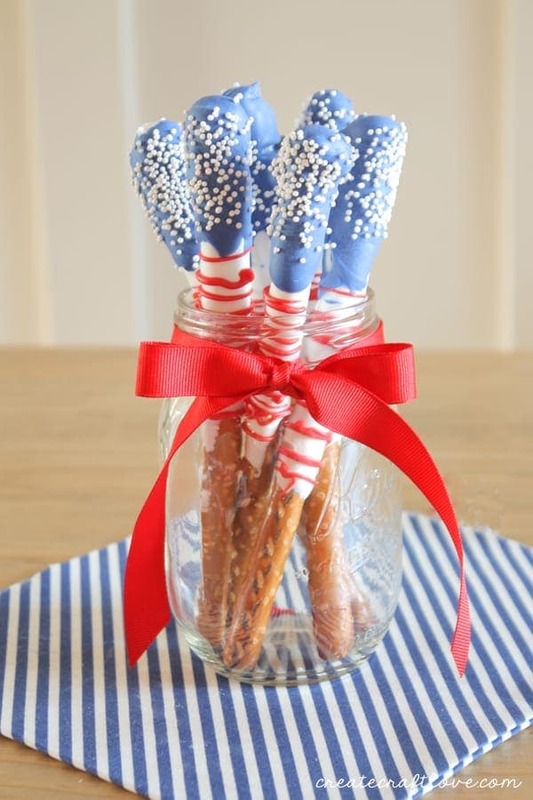 They’re a lot easier to make than you might think and the 4th of July is the perfect occasion to make them. This star-spangled cake is a show-stopper! 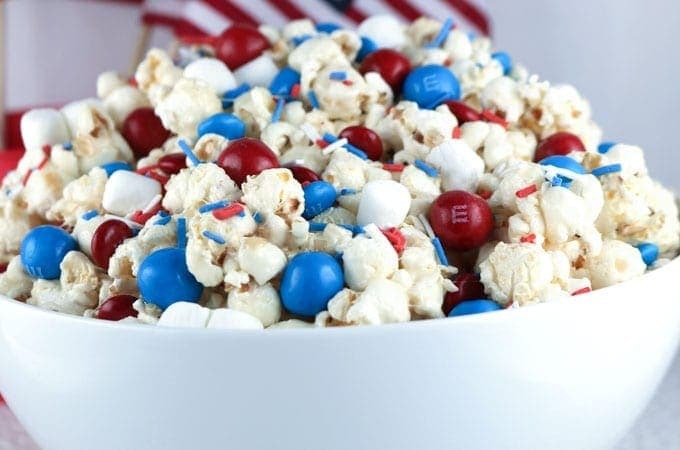 It’s red, white and blue all over and makes a great ending to your 4th of July food festivities. Pin 4th Of July Food for later! 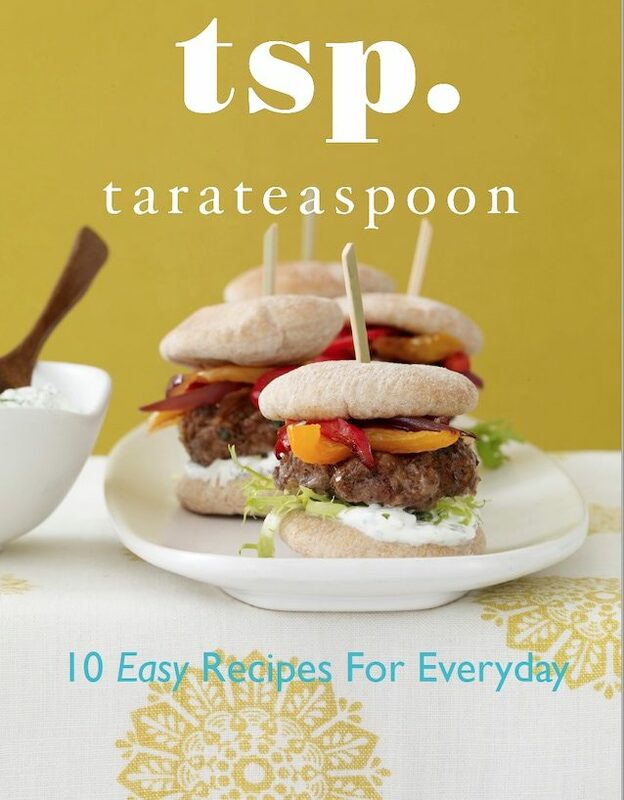 Ideas compiled by TaraTeaspoon Inc with permission. 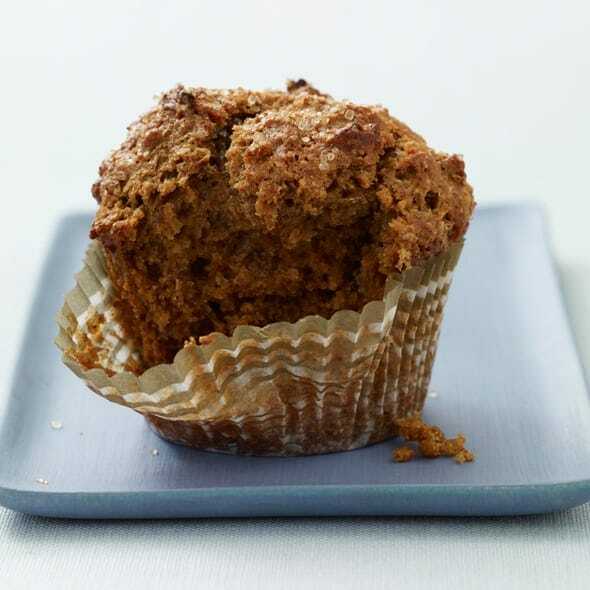 Check Out More Of My 4th Of July Recipes! I love the idea of the 7 Layer Dip! It’s so cute! I found your blog on “Boost your Blog”. Red White and Blue Cheese Board is my favorite!